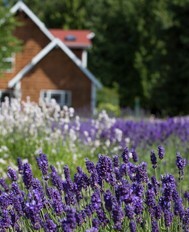 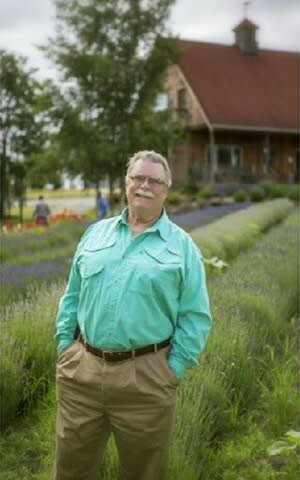 The history of our Sequim lavender farm. 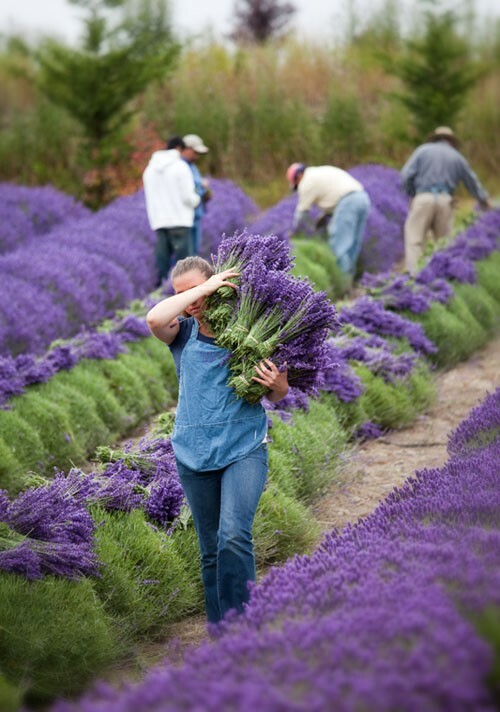 The success of our Sequim lavender farm is deeply rooted in our commitment to preserving the agricultural heritage of the Dungeness Valley. 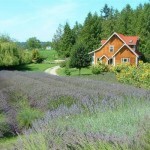 We believe our farm should celebrate all that the acreage can provide: a sustainable perennial crop of organic flowers, a working farm that harvests the lavender by hand, distilling it into oils, hanging it in bundles to dry, and creating value added products from the essential oils and sachet. 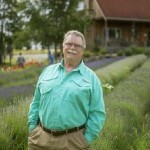 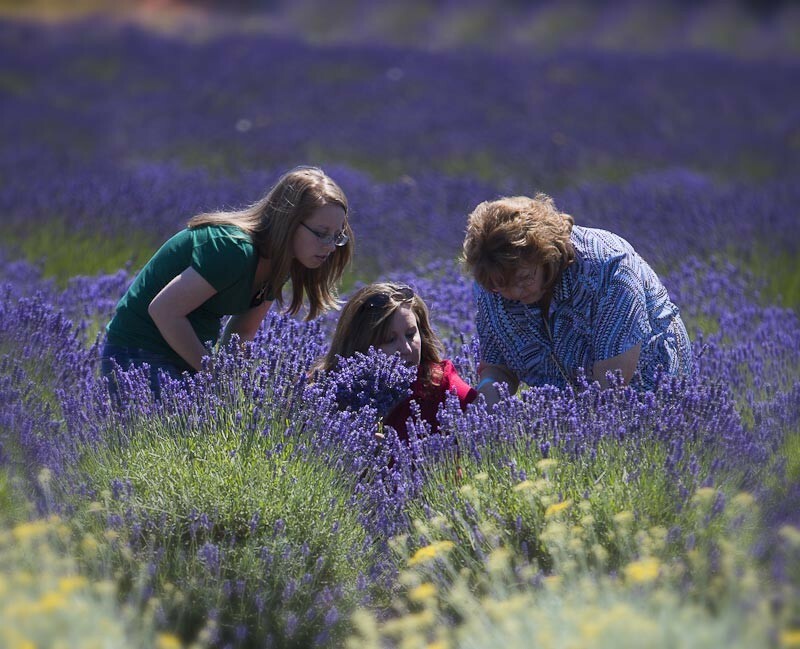 We are a tourist destination that gives the visitor a connection to America’s agricultural roots, a sight for learning and celebration, and a connection to the world via the internet that allows us to gain and share information on the agriculture of this herb. 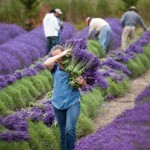 Our lavender fields contain more than 15,000 plants of more than 50 varieties. 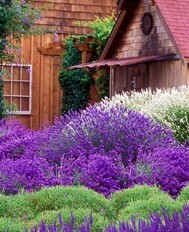 The rows of lavender when blooming vary from white and pink to shades of violet and deep purple. 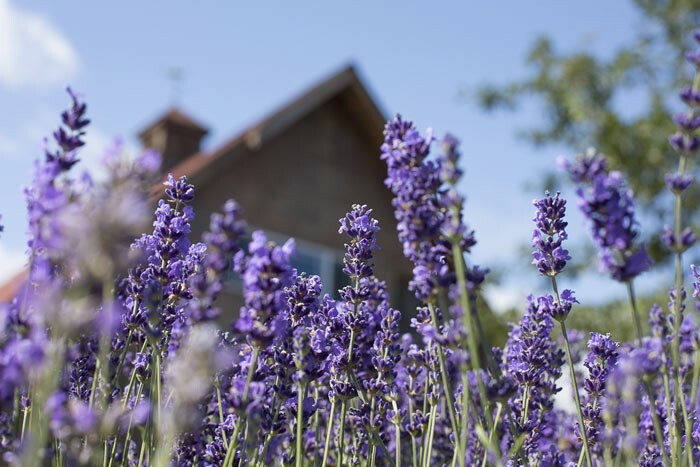 Our test gardens have varieties of English, French, Spanish lavenders as we are always looking for the perfect lavender for its many uses: aromatherapy, perfumery, culinary, floral, and landscaping. 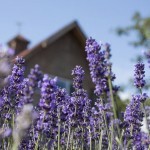 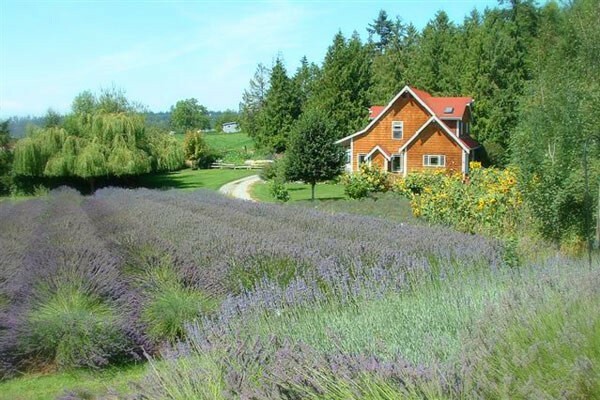 When you visit the Sequim lavender farm at Purple Haze, you are invited to wander the fields, enjoy the beauty of this sweet smelling herb, pick your own bouquet of flowers, picnic on the lawns, and experience all the flavors, fragrances and healing skin care qualities of this purple flower. 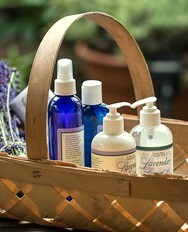 We are open starting Memorial Day and then everyday through Labor Day in September. 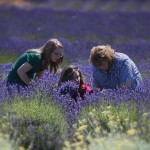 Please make our farm part of your visit to the NW part of Washington State.